It’s time for a truth bomb. I hear this question time and time and time again. These questions are work light. They’re amateur. They are looking for a silver bullet quick fix to growth rather than getting your head down and doing the work required to see real growth. People look at my company from the outside and see a business doing well. It sends great projects to the agencies and consultants on the platform. It’s starting to accomplish what I wanted it to accomplish – helping businesses find the right agency or consultant to work with to grow their business. What tools do you use for [channel]? I’ve been trying to decide between X and Y.
Oh, I don’t have a business yet. Oh that’s great that your business has done better. What are the top 3 tactics you’ve used to do it? 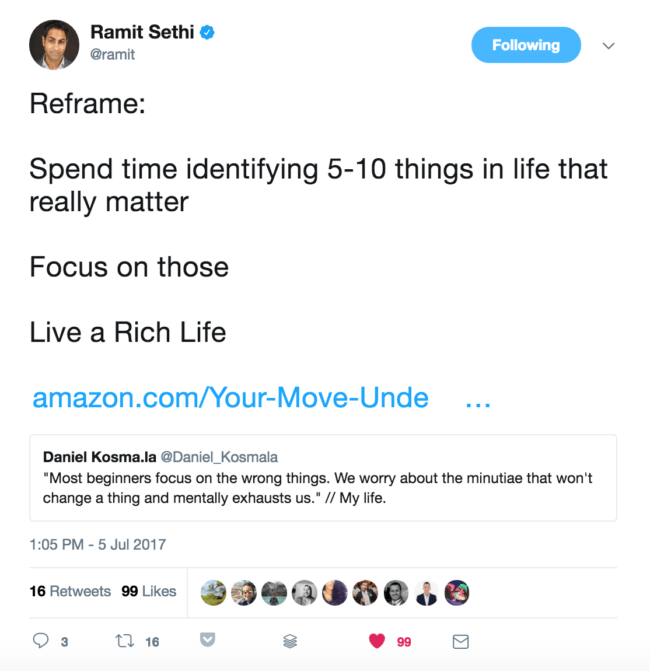 If you want to be an entrepreneur, you have to do better. All the tactics and tools in the world will not make your business successful. Sure, you can take inspiration from them and you should indeed seek to learn from people who have been somewhat successful in building a business. If a channel worked for them to drive traffic, you should as well see if that channel could work for you. But if you don’t have a business, don’t get caught up in the tiny details that even with an established business would move the needle by .01%. When you’re starting, you need the strategies that will take you from 1 to 10, and then 10 to 100, and then 100 to 1000. And those strategies will change with each step. 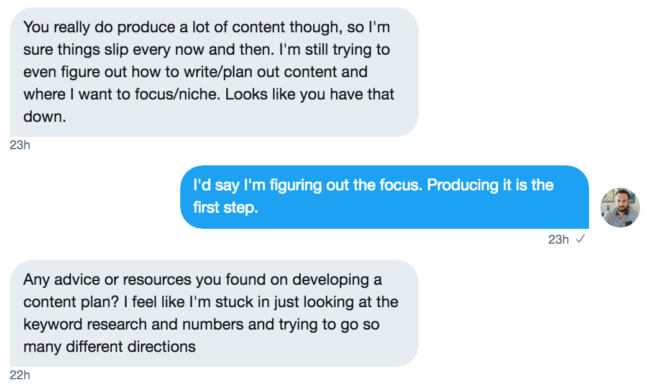 I see this time and time again – getting hung up on the details of “trying to figure out how to write/plan content” instead of starting to write content and learning how to get your words out into the world and then getting other people to see, read, and share them. Don’t get caught up in the minutiae of starting a business. Start doing what people will pay you for – consulting, creating a physical product, teaching people how to do things.